Add some style to your backyard celebrations. LivingRoc can help you transform your surroundings into a luxury and enchanting space. We invite you in to see our top of the range mosaic models made in natural stones ( marble, persian travertine and slate). LUXOR is a 63" mosaic outdoor/indoor patio table. Luxury and refined discover the sublime feeling of noble materials that are Spanish marble and Egyptian Beige marble. Suitable for 8 person seating. Enjoy romantic summer nights with a subtle blend of lively warm colors. Handcrafted our TAMPA mosaic table would be perfect for your gatherings. 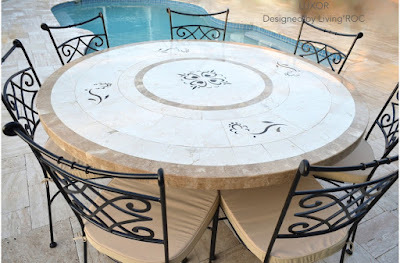 Hand crafted by hand this table combines materials of marble and travertine giving a warm welcome feeling. Available in 49" and 63" our ALICANTE will enchant your guests with the subtle design of elegance. 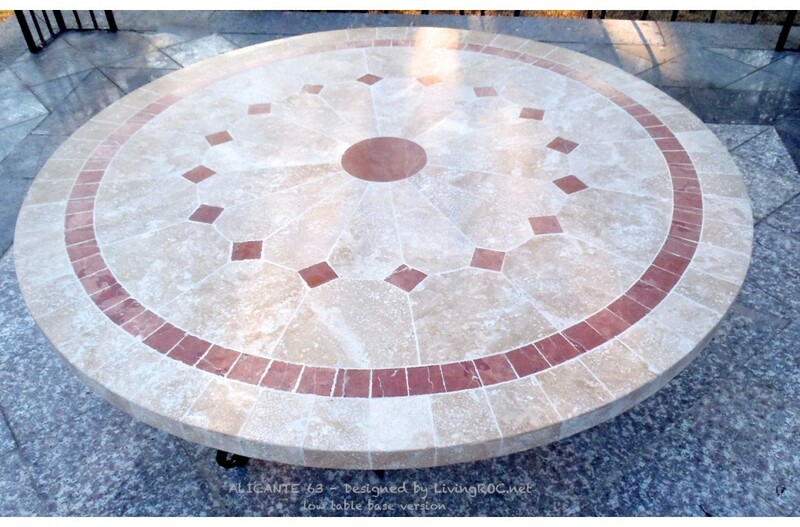 Materials of Rojo Alicante marble and beige travertine will give you a wonderful spanish atmosphere. Complete your project with a LivingRoc wrought iron patio chair. Here are 2 of our styles. 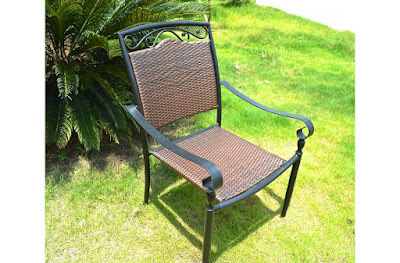 Discover the charm of wrought iron with this elegant DIAMOND chair. Combined with timeless contemporary design and comfort this wrought iron chair can compliment our natural stone tables. LILA is a perfect combination of wrought iron and the use of wicker. 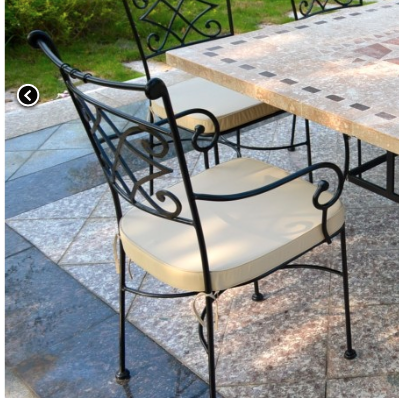 This is a safe bet that your chairs will bring a ray of sunshine, trendy and chic in your garden for a long time. 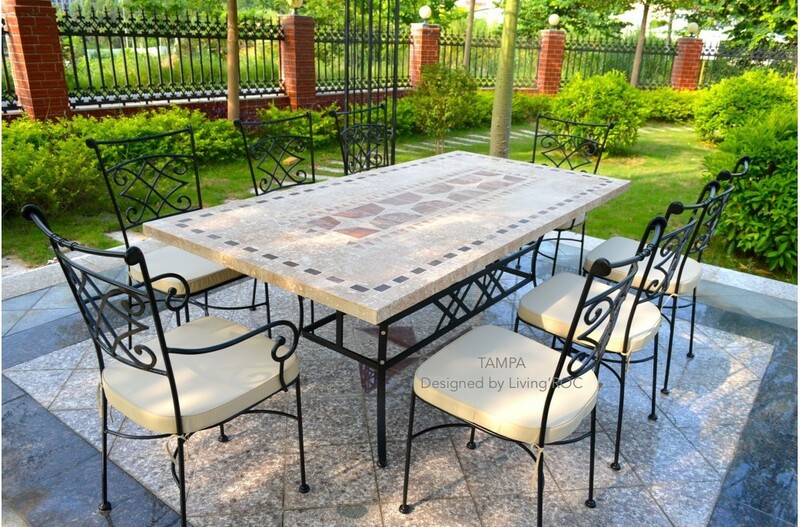 We invite you to visit our page and see what LivingRoc outdoor patio sets have for your surroundings.